Thanks to a 3-1 win over Birmingham City Norwich City put an end to their four-game winless run in the Championship, but they do not want to stop now. The Canaries aim to secure automatic promotion to the Premier League and a win over Sheffield United will see them retain their spot in top two. Norwich City are a real force to be reckoned with at home, but Saturday’s football game against the Bramall Lane outfit will be anything but a walk in the park for them. 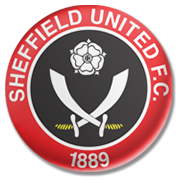 The Blades aim to return to the Premier League as well and seeing that they recorded four wins in previous five league games, we are positive that Chris Wilder’s troops are going to grab something from the match. A close encounter is on the horizon and, taking everything into account, we believe that the two sides are going to share the spoils in the Championship derby.